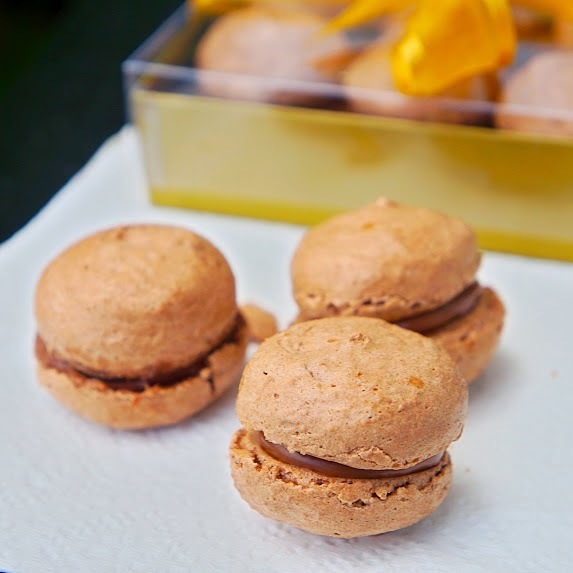 The macaroons filled with two of my favorite ingredients nutella and salted caramel simply just mix them together until combine, the consistency is perfect for to fill these macarons,sweet,rich and delicious, I also made macarons filling with combination of store-bought ingredients. - match same size cookies,pipe or spread filling on flat side of one cookie and top with another. Yummy macaroons !! Looks super delicious! Who doesn't love caramel? These macarons look very tempting. 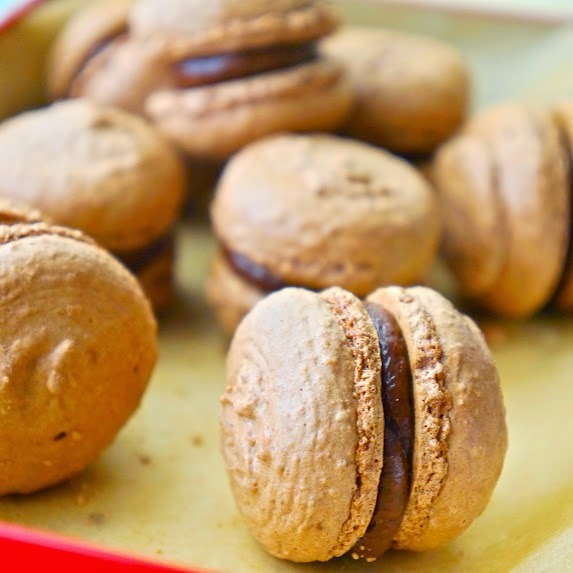 You can never go wrong with anything nutella, these macarons look and sound delicious!